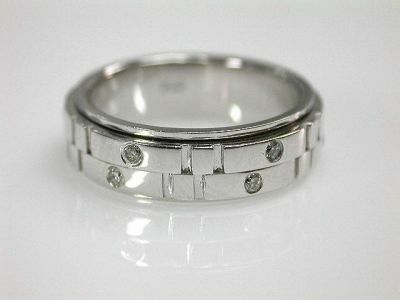 One 18 kart white gold brickwork eternity band. Twelve round brilliant cut diamonds (0.18 carats: VS-SI clarity: H-I colour). The brickwork ring consists of two rings which can independently rotate within a main ring.